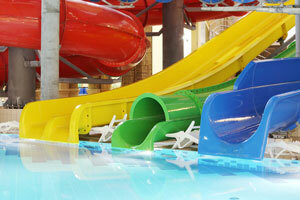 Water Park Accidents | Nashville Injury Lawyers The Law Offices of John Day, P.C. In North America, there are more than 1,200 water parks, and the annual visitor attendance is roughly 85 million in just the summer months alone. And while water parks can provide lots of fun for you and your family, unless proper safety measures are followed, they can also be the source of drowning and near-drowning accidents as well as other serious injuries including brain injuries, orthopedic injuries, spinal injuries, etc. Failure to control rowdy or intoxicated guests. If you or a loved one has been injured in a water park accident in Tennessee or you are a resident of Tennessee who has been injured at a water park outside of Tennessee, let one of our award-winning water park accident attorneys review your case in a free, no-obligation consultation. If we think we can help you, we will handle your water park accident case on a contingency basis, which means we only get paid if we win and you do not have to pay anything out-of-pocket to pursue your legal rights. Contact us anytime by either filling out this online form or by calling us at 615-742-4880 or toll-free at 866.812.8787.